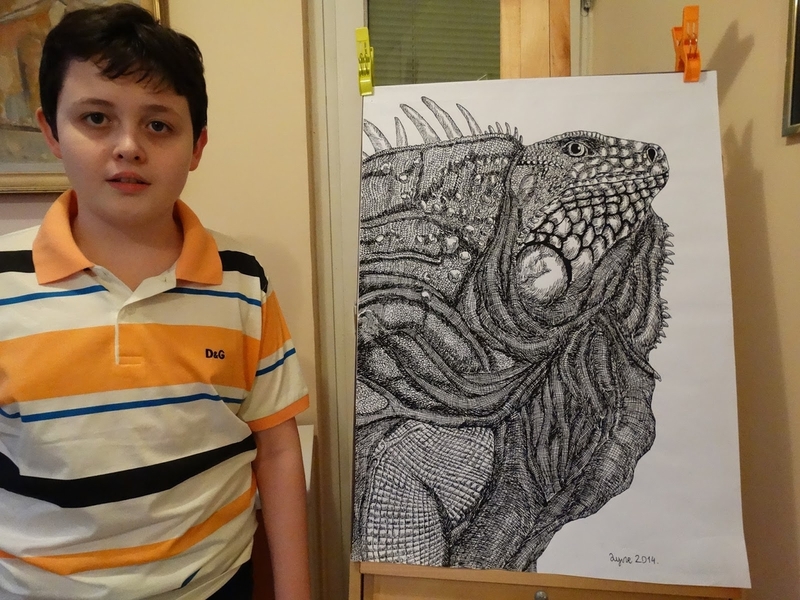 This artist was born in 2002 and some of these drawings span 3 to 4 years and more. 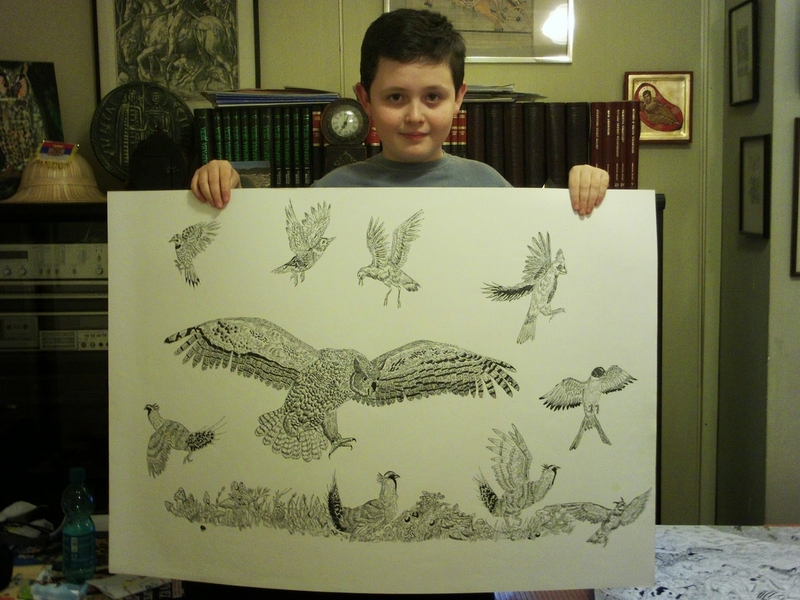 Much larger pictures in the post. 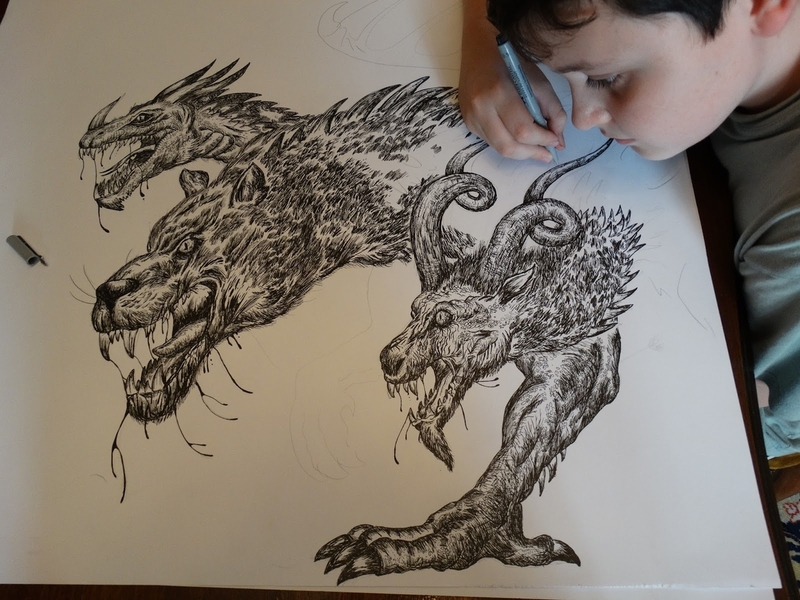 Serbian artist Dušan Krtolica (Душан Кртолица) has started his career in the arts quite early, he started to show promise at 2, yes 2, amazing and was happy to be enrolled in art school at the age of 4. 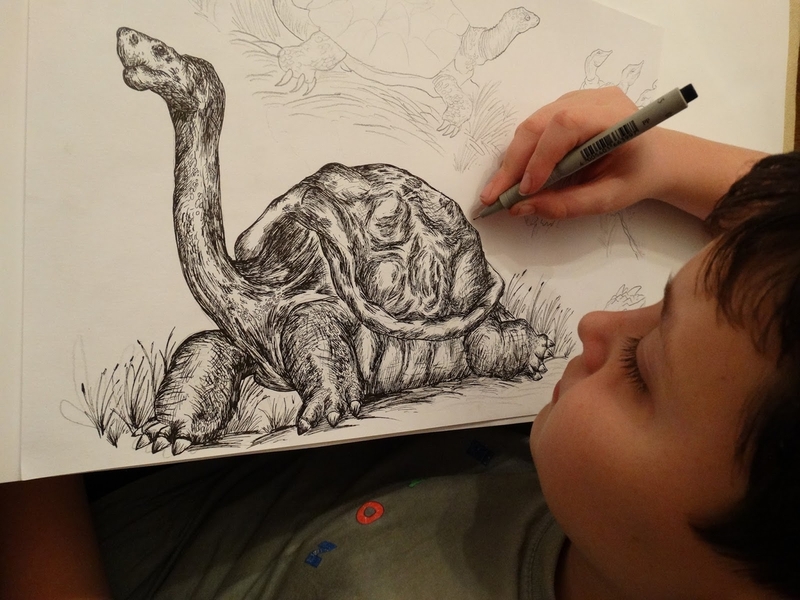 He loves to go through animal books and says he has built up an encyclopedia in his head, allowing him, in most cases, to do without a reference image from a book. 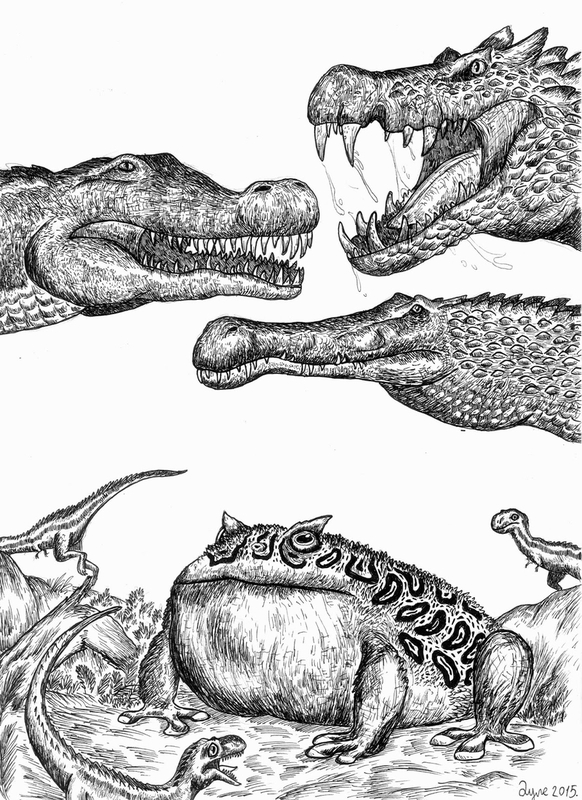 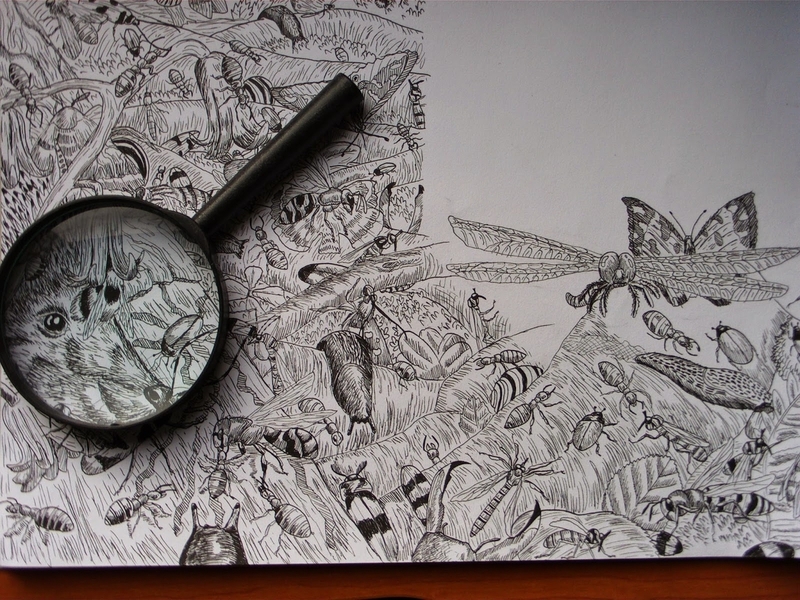 Have a look at the level of detail he manages to put, free hand, in some of his drawings. 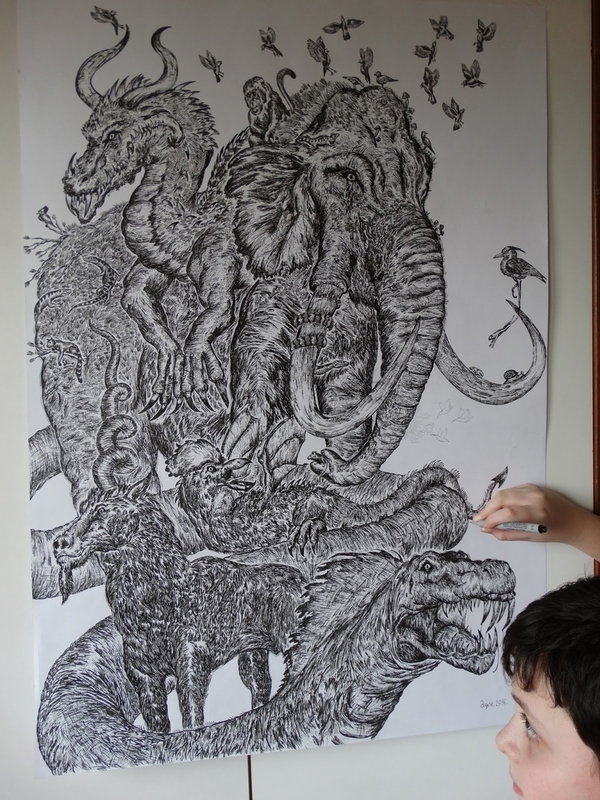 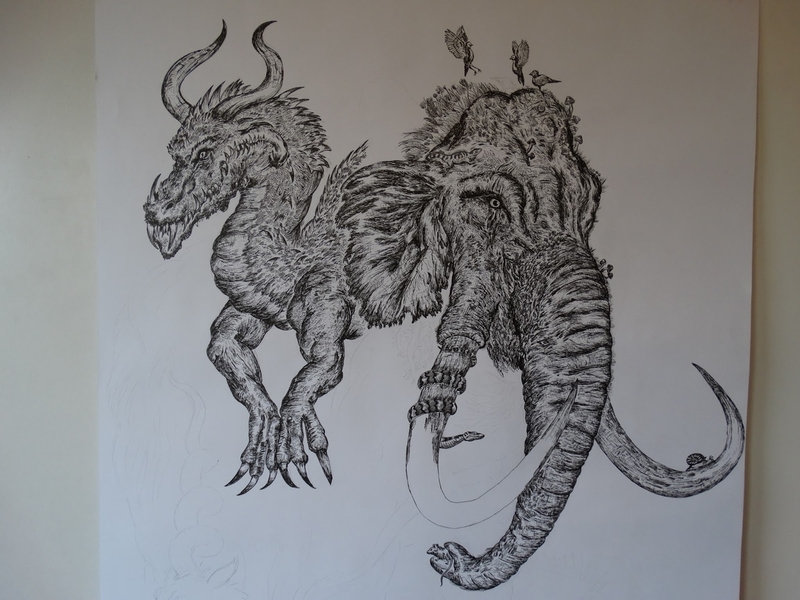 He draws directly in ink, as you will see in the video below. 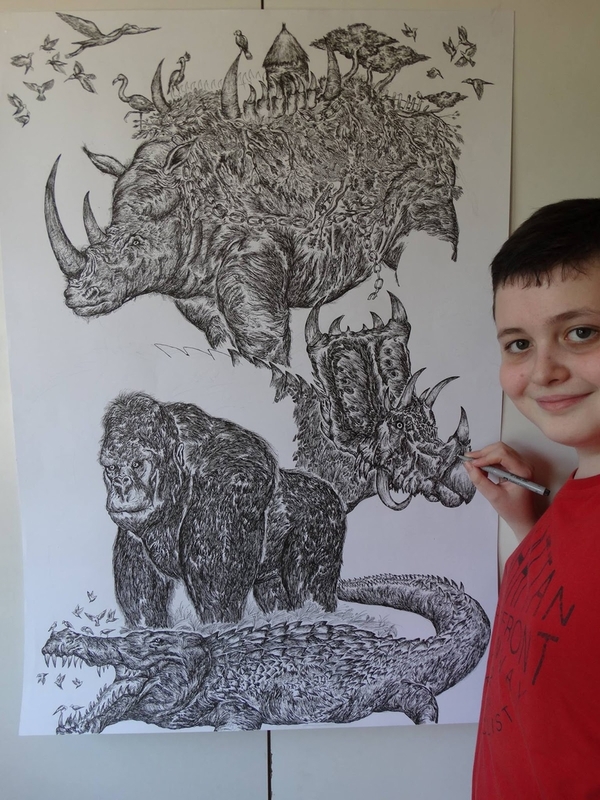 This begs the question, does he not make mistakes or does he find a clever way to mask them? 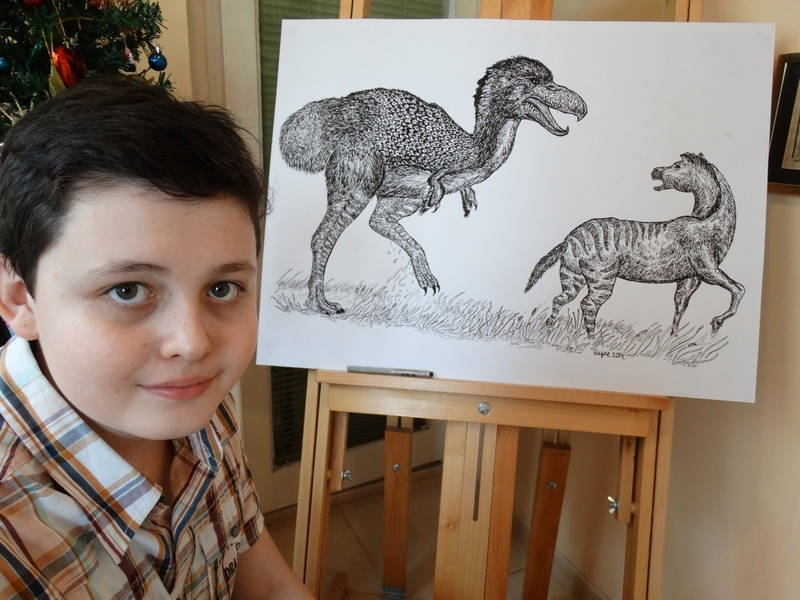 This is a quote from him "I love to share knowledge with my friends and all those interesting in similar topics." 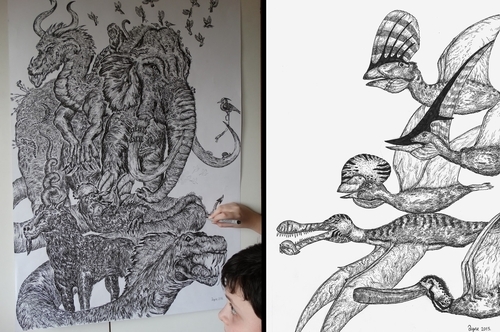 and "I have never sold any of my drawings, although a lot of interested. 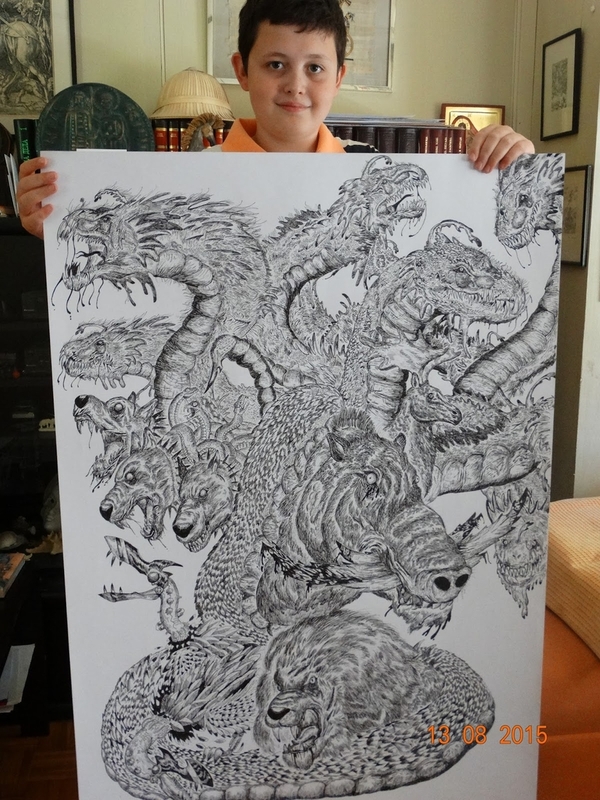 My parents think I'm still young and want to keep my first works." 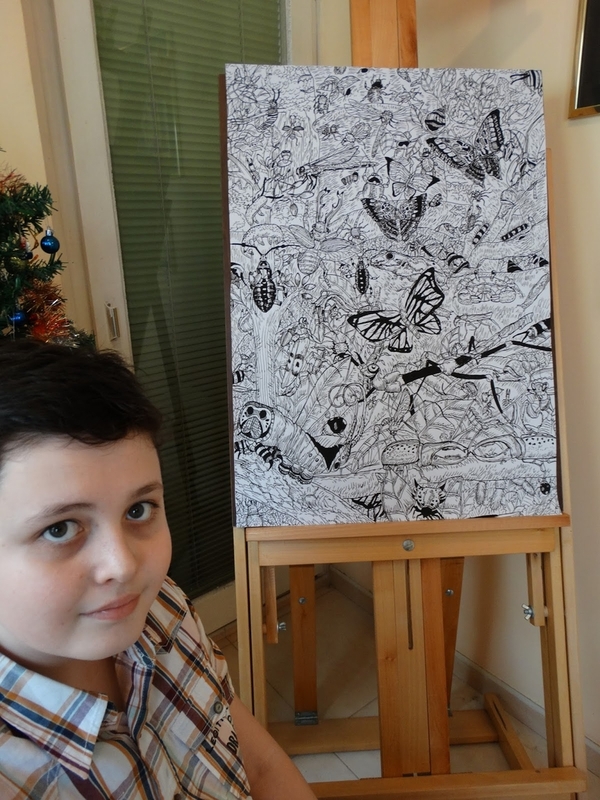 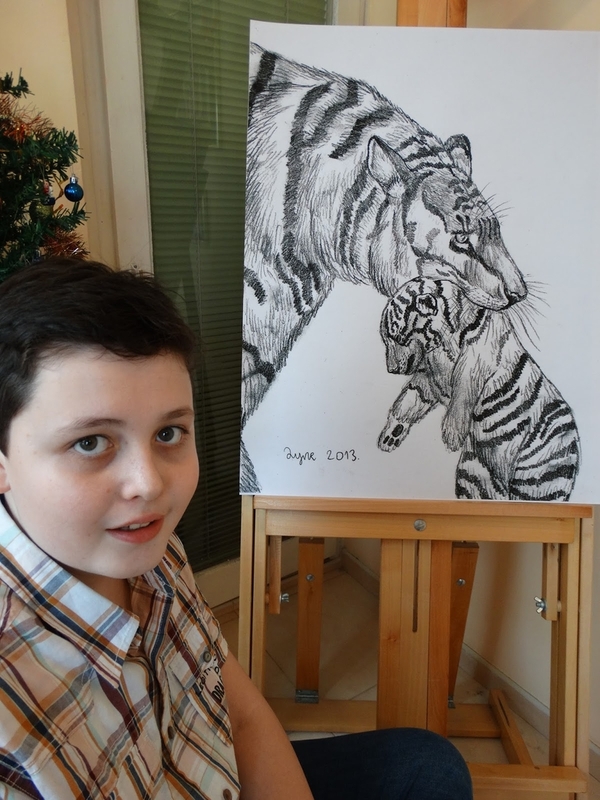 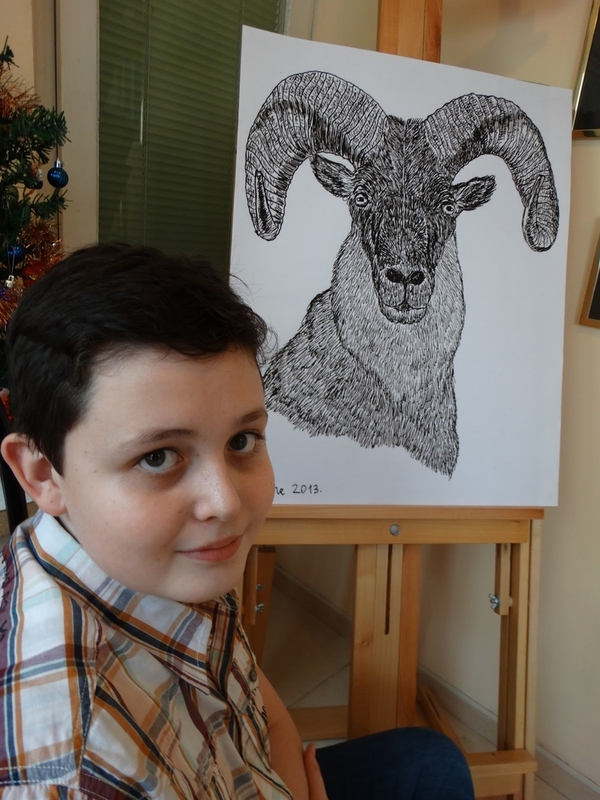 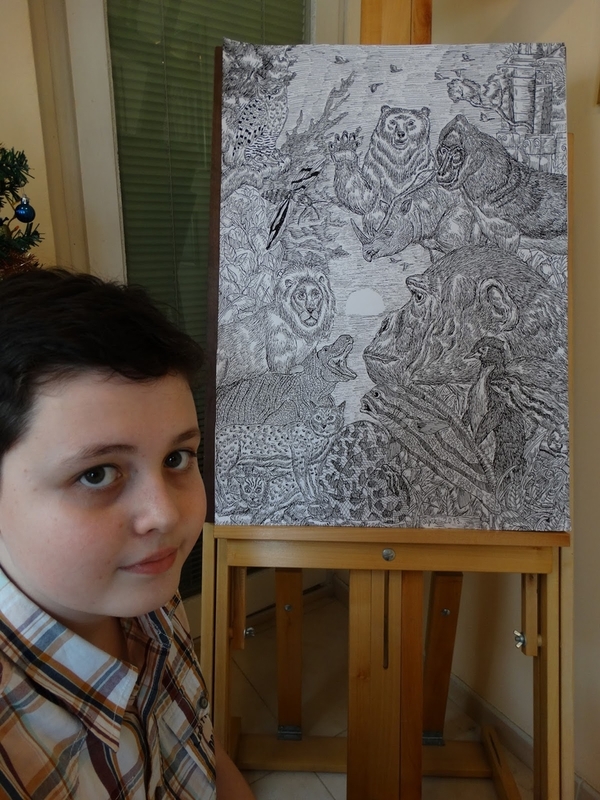 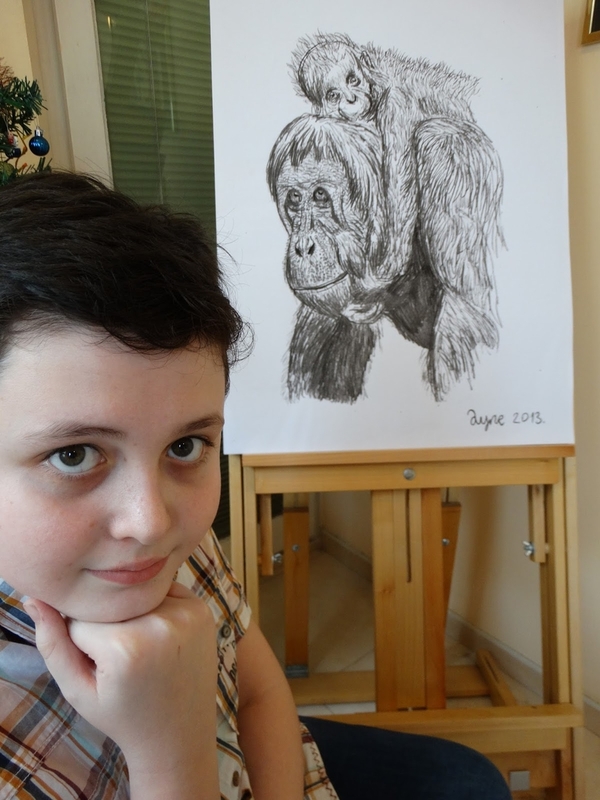 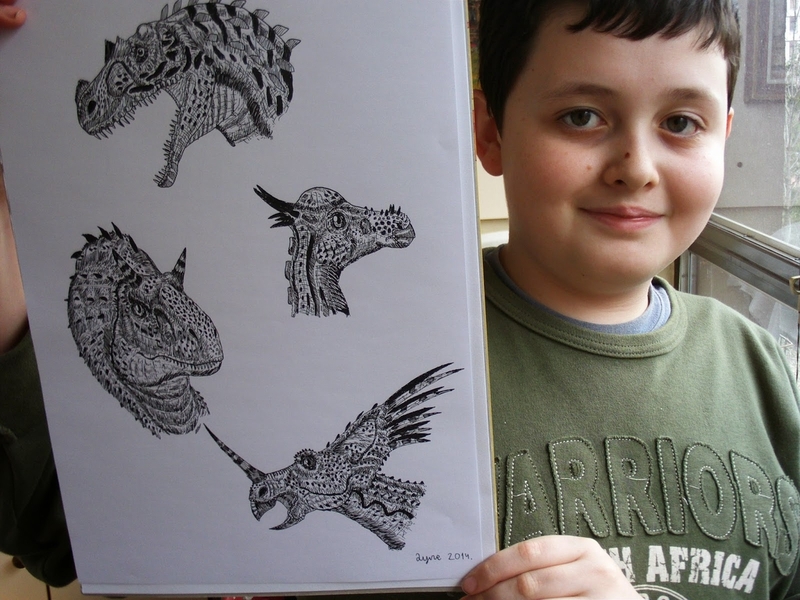 Dusan Krtolica 11 years - Crtanje Zivotinja Olovkom - Drawing Animals With Pen. 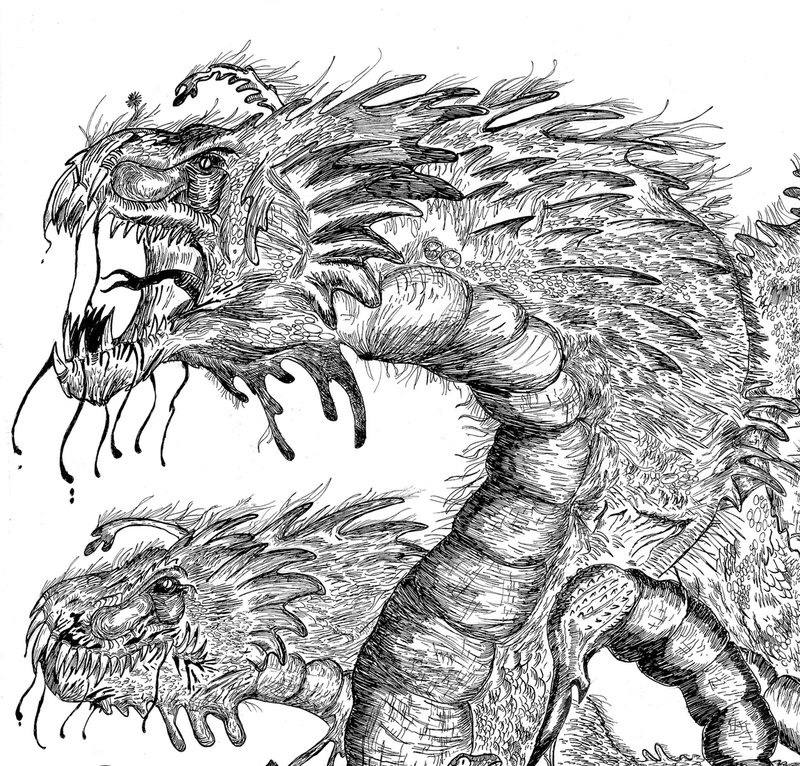 Dragon and Other Scary Predators. 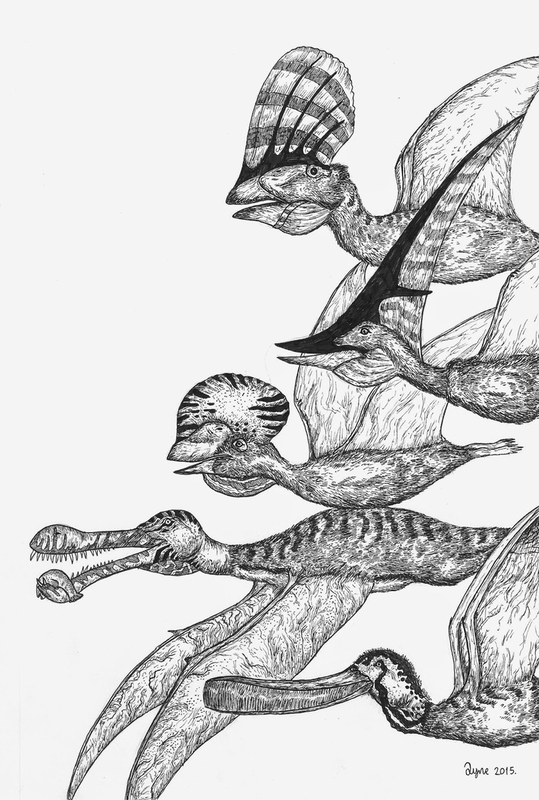 The Owl and Other Birds.